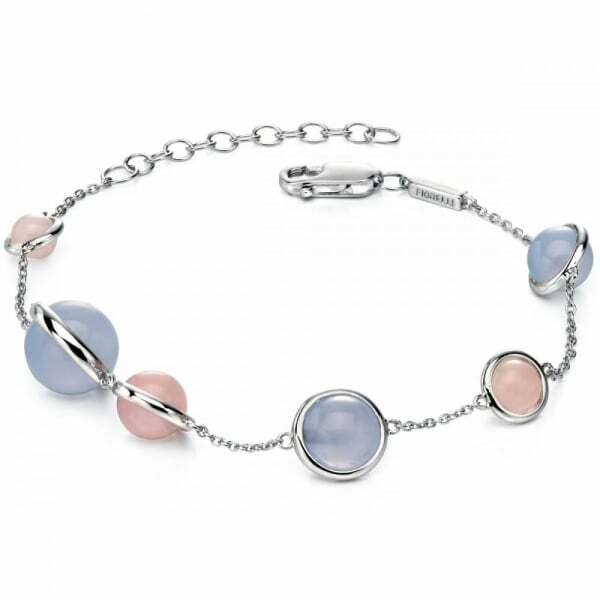 Silver Bracelet Adjustable From 7" to 8.25"
Fiorelli jewellery perfectly bridges the gap between modern and classic with their ultra feminine range of silver and gold plated jewellery. Whether you like accents of colour in your jewellery or prefer a more paired back look, there will be something to attract your attention! The rose gold plated earrings and charming heart pendant displays the lovely colour combination of silver and rose gold which brings the earring and necklace design right up to date with current jewellery trends. The Fiorelli bracelets in this range of ladies jewellery showcase delicate architectural silver openwork and sparkling cubic zirconia stones, making them the ideal bracelet choice adding a touch of sophistication to an outfit. If the Fiorelli jewellery in this collection has piqued your interest, then make some time to browse through the ranges of bracelets, earrings and pendants for women at Hillier Jewellers for even more superb jewellery options. Not only does jewellery make for perfect gifts, it’s the ideal excuse to treat yourself!